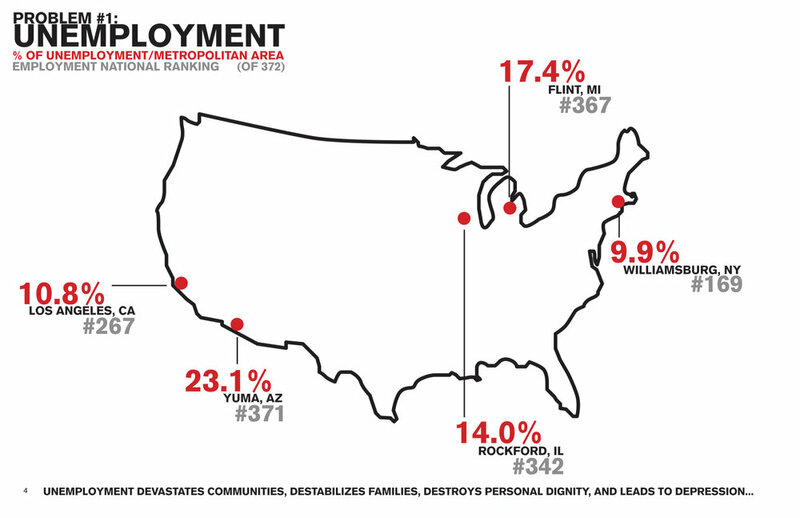 SAS submitted this proposal to cityLAB, an urban think tank at UCLA’s Department of Architecture and Urban Design, who called for a redux of the Depression-era infrastructure built by the WPA. SAS envisioned sustainable light industrial investment in the local infrastructure of target populations. While maintaining the same job-generating purpose as the original WPA, SAS proposed light industrial parks instead of the industrial infrastructure and heavy manufacturing of the Depression-era projects. Bringing some manufacturing back to America, light industrial parks encourage sustainable jobs, buildings, products and communities. 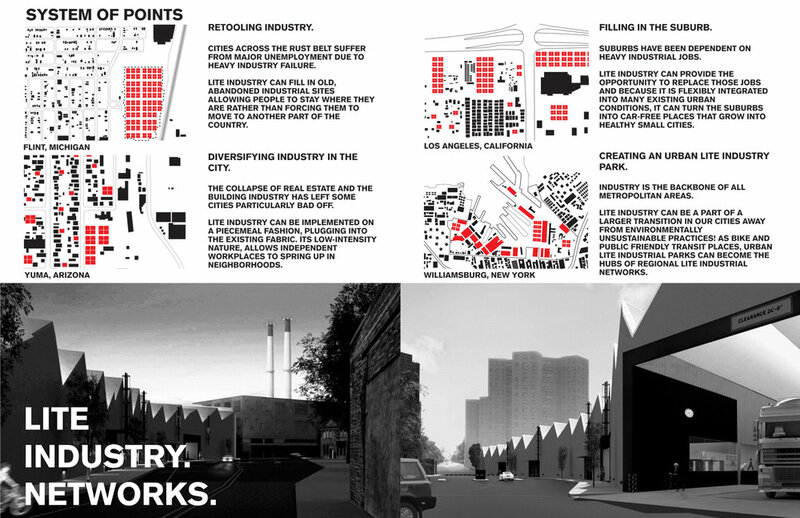 SAS envisioned a flexible typology adjustable to the existing fabric of struggling cities across the country: lightweight single-story warehouse structures sheltering a campus of car-free workshops that can be atomized to infill vacant lots or clustered over decommissioned industrial sites.